Vichy is giving away full-sized anti-acne solution products! 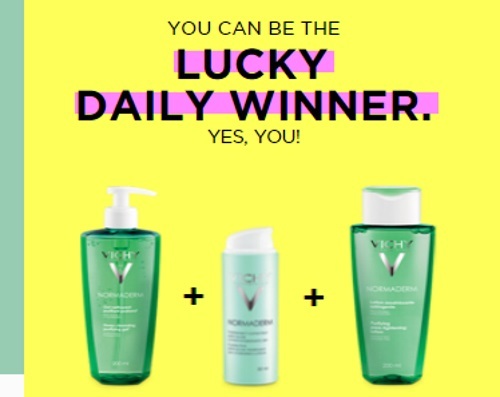 To enter just sign up for the Vichy newsletter at the link below. They are giving away one product a day! Scroll down a bit on the link below to locate the entry form (yellow box).